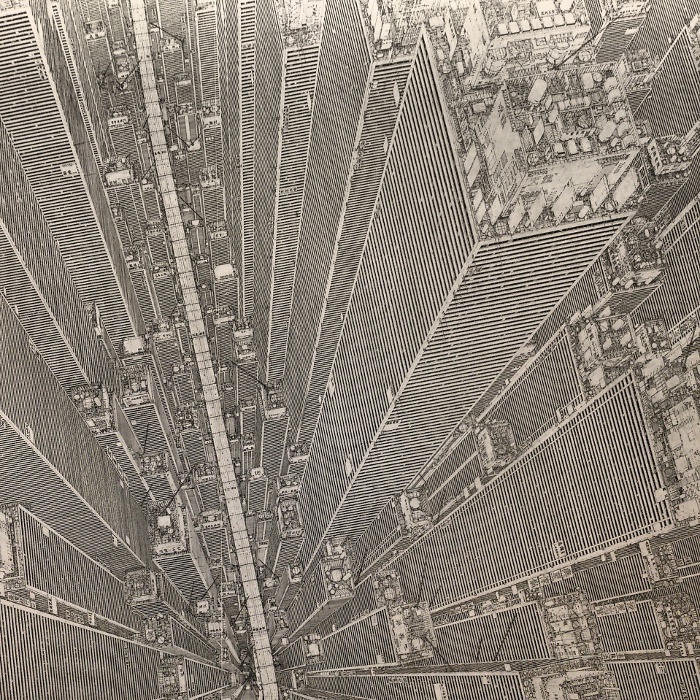 Using just a black ink pen, Daisuke Tajima creates impossibly intricate and vertigo-inducing birds-eye view paintings of cityscapes. And his paintings aren’t small. Many of them are larger than the artist himself. 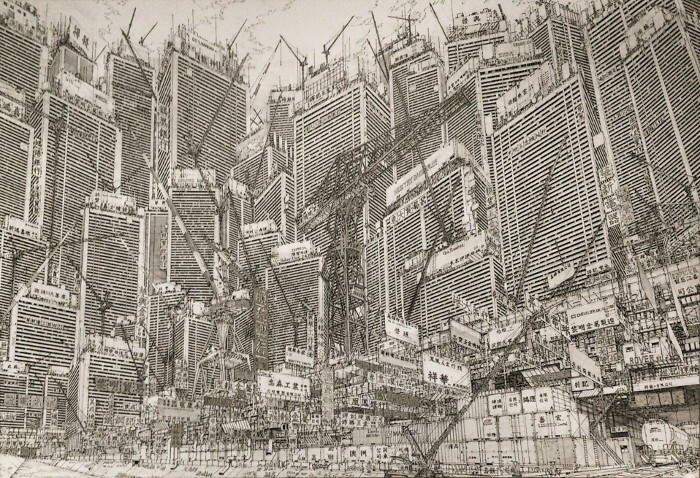 The artist graduated in early 2015 from Aichi University of the Arts, where his senior thesis exhibition – and installation of a large-scale painting and replica battleships – won him top place at the school. 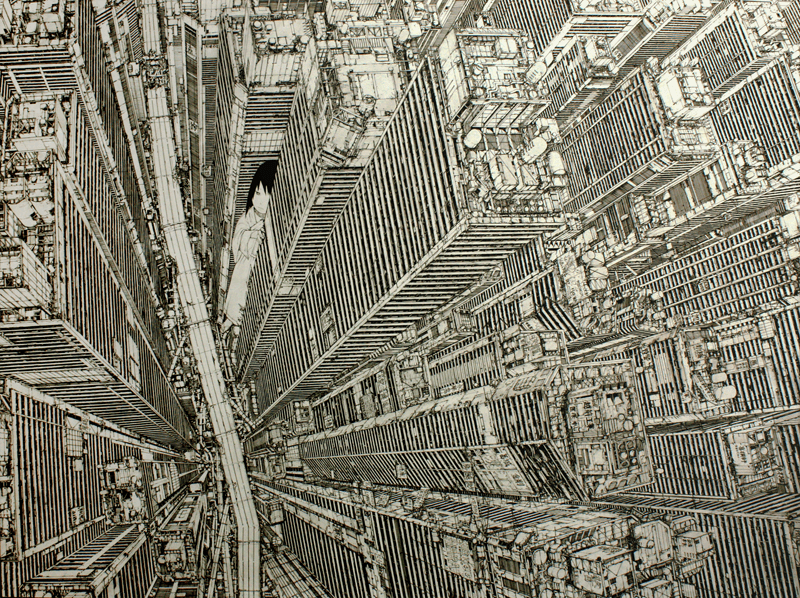 Leaping off that success, Tajima created an entirely new cityscape titled “gokinchotaikoku II” and entered in the 2015 Tokyo Midtown Award.